This is the medium Zuccaro drum lampshade, shown here in pure silk sea mist gold with a white lining. The white laminate lining will create a crisp, bright reflection when illuminated. Choose your own colour 45.5cm, white lined ceiling lamp shade from a choice of twelve modern and neutral shades. 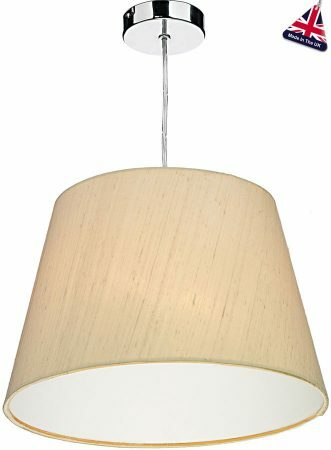 An easy fit pendant shade, available in small, medium and large sizes. 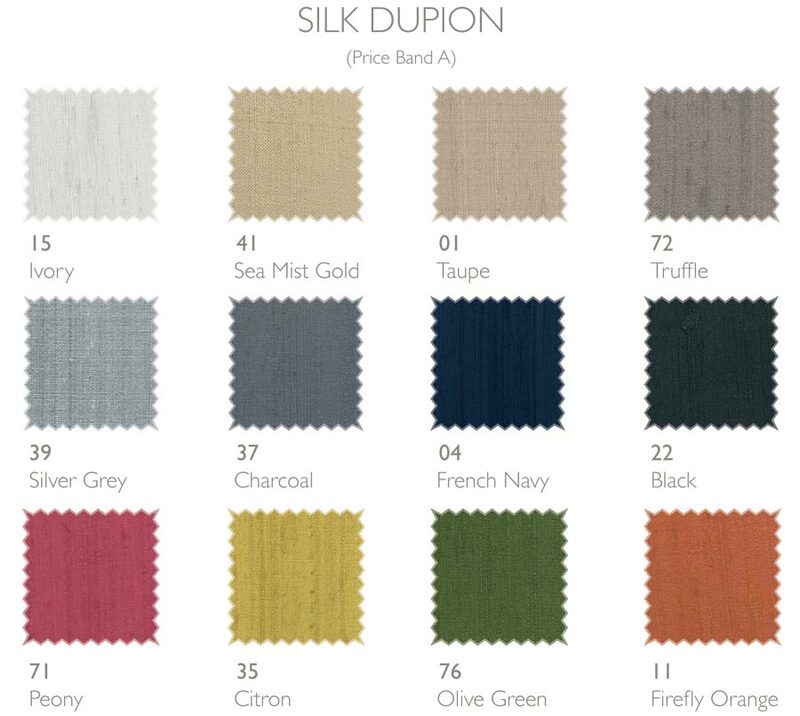 Fabric colour swatches are available on request. The medium Zuccaro is fitted with a reversible gimbal unit which will fit both BC and ES lamp-holders. This can be reversed for use with a large table lamp. For a more diffused light, or for people who don’t like to see the lamp-bulb, there is an optional 32cm diameter pure silk lower baffle available for a softer mellow light, BAF1499. From the Zuccaro hand crafted 100% pure silk collection, a medium ceiling shade that measures 45.5cmcm in diameter and 33.5cm tall.